Dr. Ruth MacManus, Prof. Diarmaid Ferriter, Prof. Mary Daly, Dr. Paul Rouse, Dr. Joseph Brady, Dr. Jacinta Prunty speak in this MA Documentary about Dublin city in 1911. 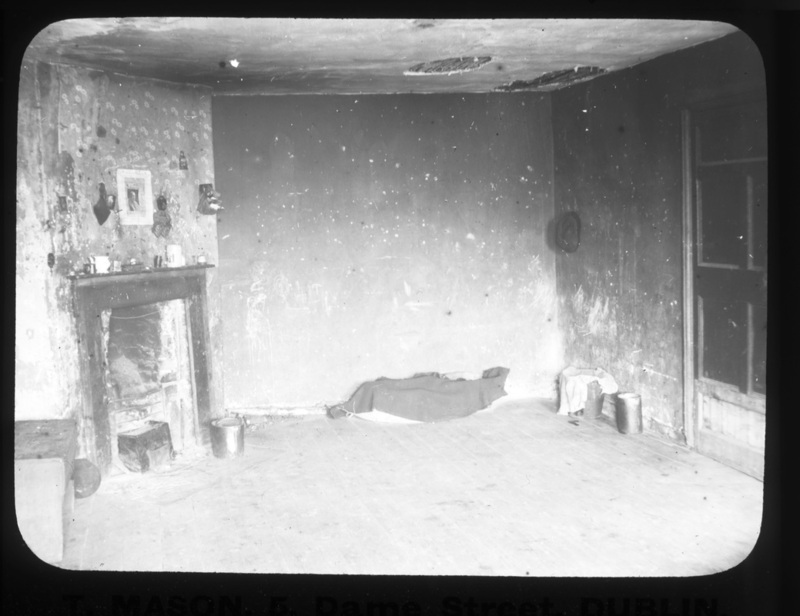 In 1911 20,000 Dublin families lived in single rooms similar to this a 8 Waterford Street. of small cultural organisations around Europe, in line with Europeana standards. Our part of the project, which is a work in progress focuses on our Du Noyer collection, and our lantern slide collection. 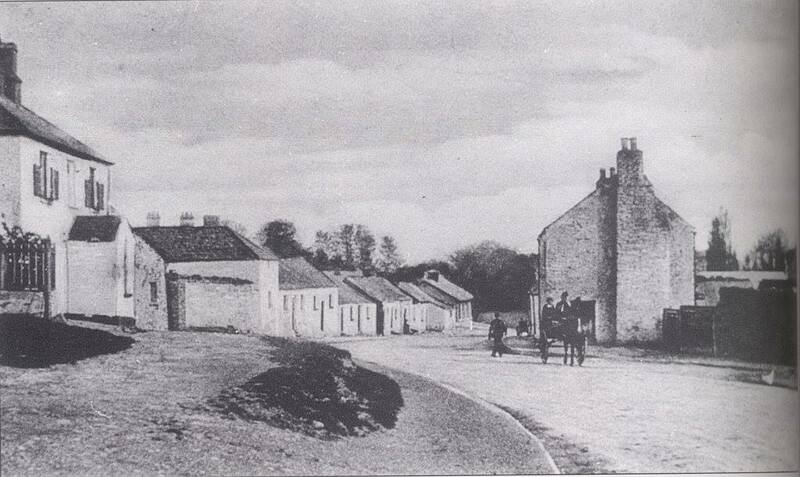 ​These collections are being scanned, and digitised by a small team of dedicated volunteers. 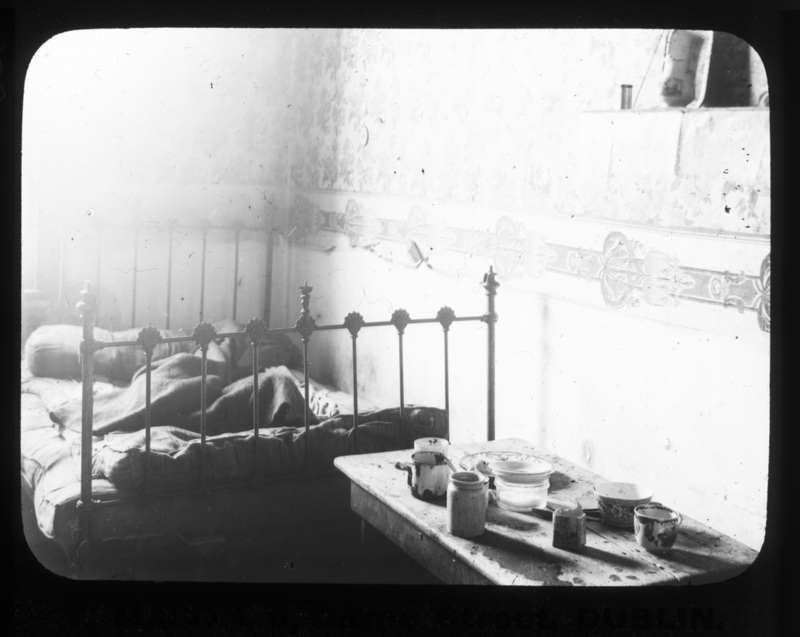 Dublin Corporation disinfectors spraying infected tenements with disinfectants in 1911.